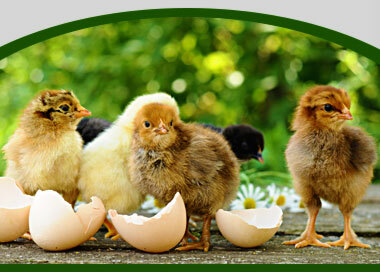 Our premium blend Chick Starter/Grower formula is designed for starting chicks up to 4 weeks of age. Yorktown Organic's Chick Starter is all natural and USDA Certified Organic. Excellent nutrition is essential for growing birds that are strong, healthy, and productive egg layers. Our chick starter provides all of the essential nutrients, minerals, and vitamins for optimum development. No additional supplements need to be given. Organic Ground yellow corn, Organic Soybean meal , Calcium Carbonate, Dicalcium phosphate, salt, dl-methionine, Vitamin A Supplement, Vitamin D-3 Supplement, Vitamin E Supplement, Vitamin B-12 Supplement, Riboflavin Supplement, Niacin Supplement, Calcium Pantothenate, Choline Chloride, Menadione Sodium Bisulfite Complex, Manganous Oxide, Zinc Oxide Ferrous Sulfate, Copper Oxide, Ethylene Diamine Dihydriodide, Sodium Selenite.